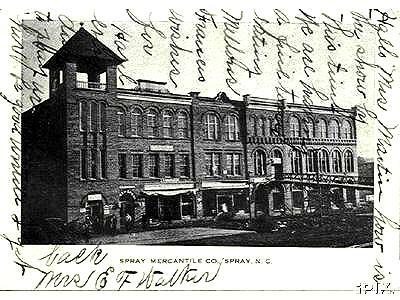 Spray Mercantile Company, Spray, NC postcard mailed 1909. Card also shows Bank of Spray and other storefronts in a large brick building. 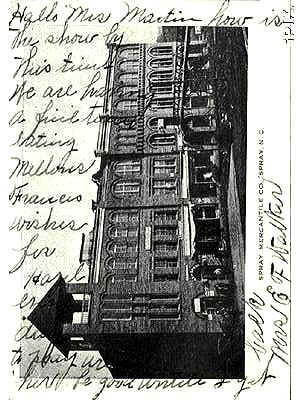 Writing is on the front because the back of this early card was to be used for the address only.